Situated on the Chilcotin Plateau, at an altitude of approximately 3700 feet and on the shores of picturesque Anahim Lake, Eagle’s Nest is surrounded by wilderness forest and three mountain ranges – the Itcha, the Ilgatchuz, and the Rainbows. Together these ancient volcanos comprise what is known as the Anahim Volcanic Belt. From a table in our garden you can look out over this wonderful view, and enjoy a bite to eat at the same time. Nearby is a volcanic canyon known as The Precipice. The canyon walls are basalt columns of very old volcanic rock. A 300 foot waterfall drops down to a lake on the canyon floor, and a large “hoo-doo” stands alone in the middle, somehow untouched by the forces that hollowed out the canyon. You can enjoy a leisurely hike along this canyon wall to arrive at a spectacular viewpoint that looks westward to the Pacific Coast mountains. "Wilderness with the comforts of home." 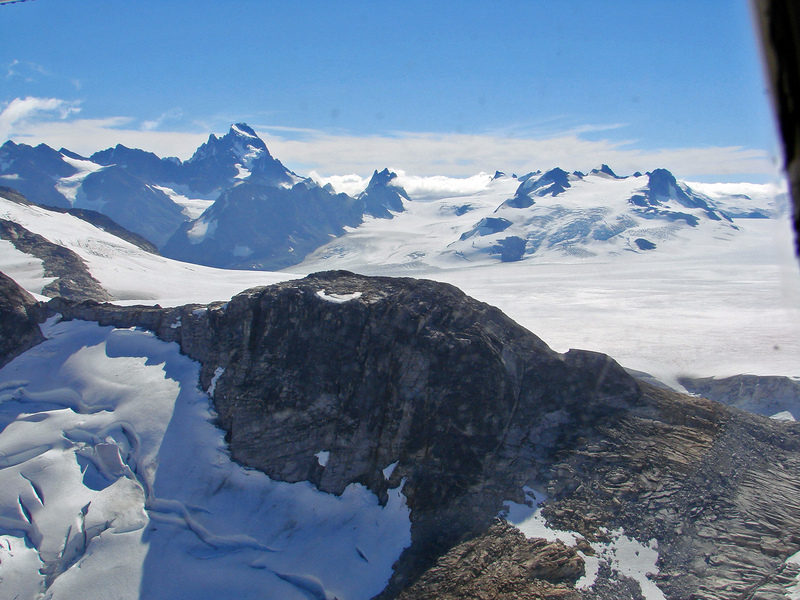 For sweeping 270 degree views of the rugged Pacific Coast Mountains and the Chilcotin Plateau, you can climb the Mt. Kappan Lookout Trail. This moderate day hike travels through forest and mountain pasture with great views even from the trailhead. Spectacular Tweedsmuir Park is only a short 20 minute drive from Eagle’s Nest Resort. 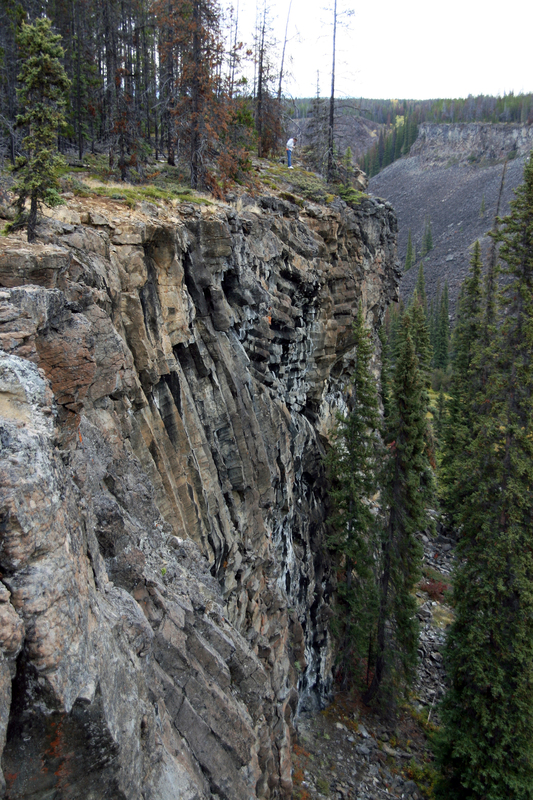 The Park is home to Hunlan Falls, the third highest free-falling waterfall in Canada, excellent canoeing along the Turner Lake chain, and numerous hikes of various lengths including the beautiful Rainbow Range Trail. Here is more information about Tweedsmuir Park. 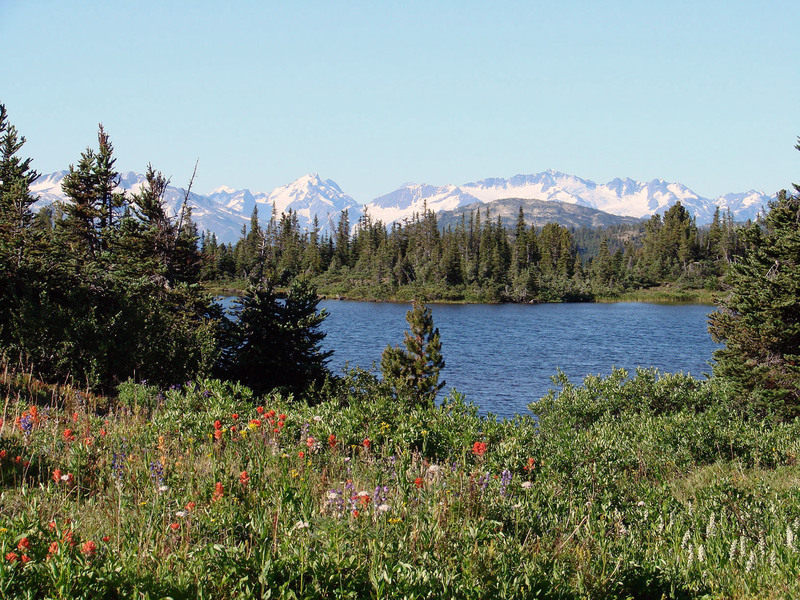 The magnificent Rainbow Range is also located in Tweedsmuir Park. 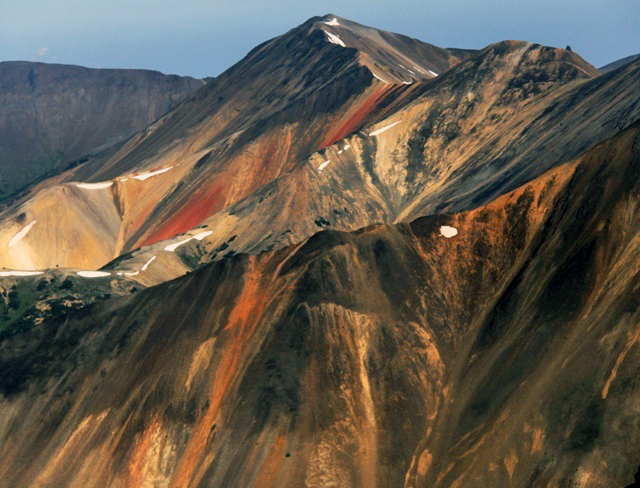 Old volcanic mountains, their extensive mineralization results in a brilliant display of red, orange, and yellow, colours so intense that the local natives once referred to them as “the mountains that bleed”. Here are some Things To Do while you enjoy the sights. 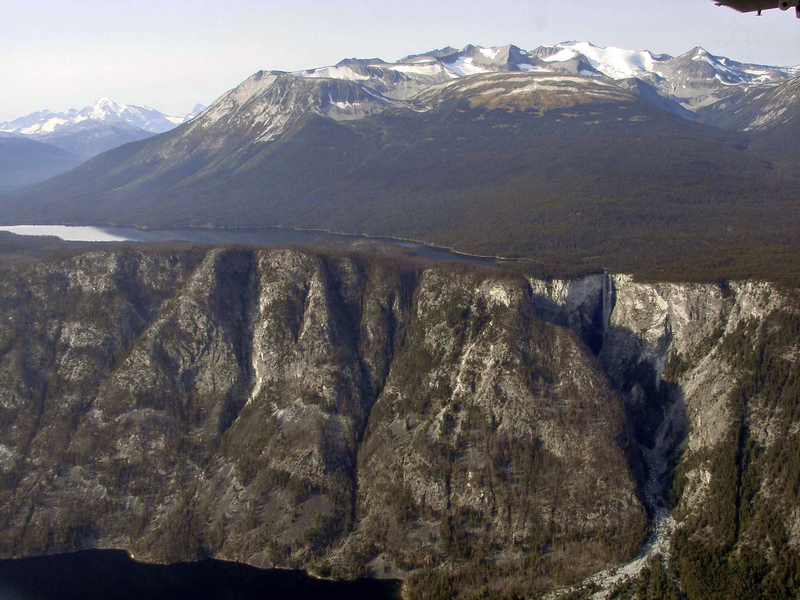 Spectacular flightseeing tours to some of the most magnficient sights in the Chilcotin depart by floatplane from the Eagle's Nest dock. See our EXPERIENCES page for more details.